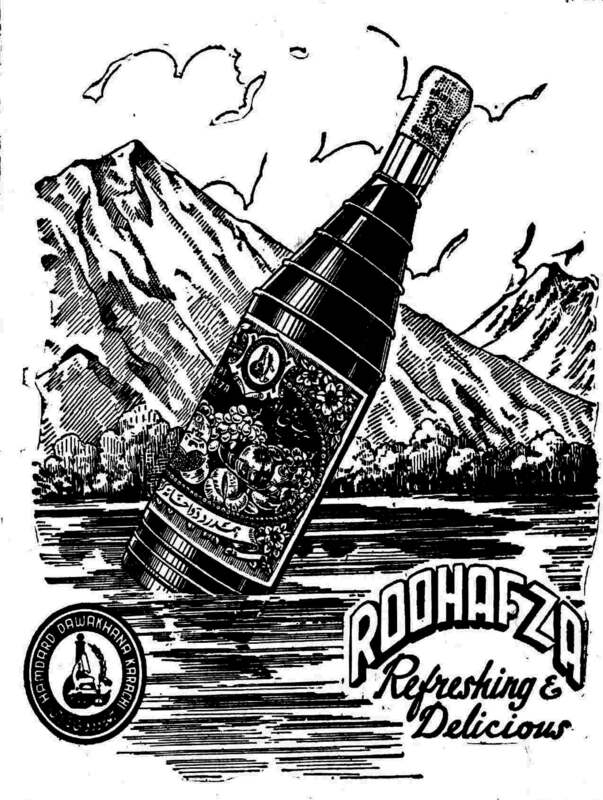 Charting Rooh Afza's brand odyssey. Rooh Afza’s recent ‘Zindagi Mubarak’ campaign by Hamdard Pakistan showcases the unconditional love of a father for his daughter when he sends her Rooh Afza as a gift, so that she does not miss the fragrance and flavour of home. This TVC devised by RG Blue Communications took audiences by storm, and the Mubarak platform was extended to Ramzan Mubarak, Dosti Mubarak and Sardi Mubarak; engaging the daily relationships of life. 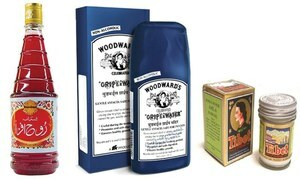 Everything began in 1906, when a red syrup was introduced by a small matab in India. After Partition, this refreshing syrup was launched in Pakistan by Hamdard. The advertising campaigns of the first two decades were based on functionality, taste, colour and being the drink of the East. The brand was promoted with captions such as ‘Splendour of the East’ and ‘Knowledge and Wisdom’ (due to its rich history). 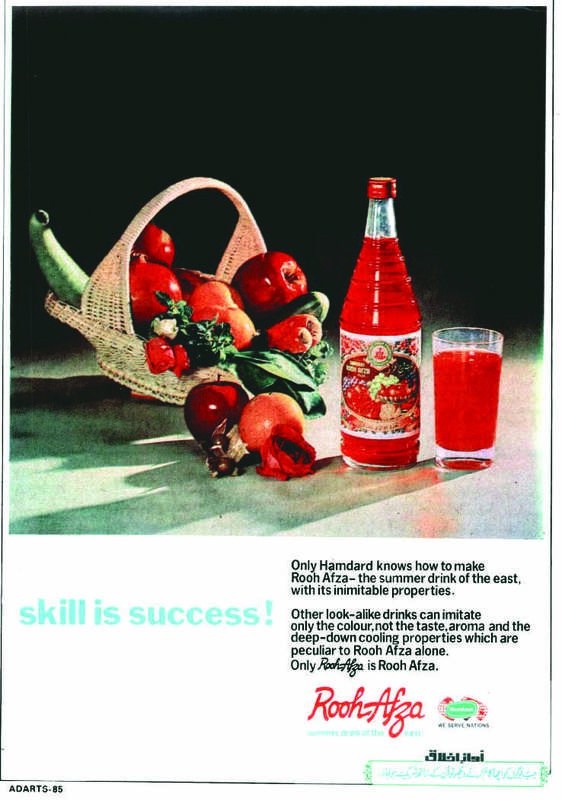 In the early eighties, Rooh Afza positioned itself as a pioneer, with the caption ‘Every New Syrup Is Red but Every Red Syrup Is Not Rooh Afza’. In this way, Rooh Afza became the pioneer of the red syrup category in Pakistan and paved the way for many other ‘me too’ products. Given changes in consumer behaviour and new trends in the beverage industry, Hamdard made the transition from a glass to a PET Bottle. 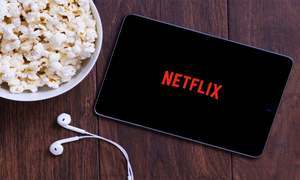 Inspired by this success, the media was bombarded by functionality based advertising by our competitors and the younger generation slowly started drifting away from the pioneer brand. 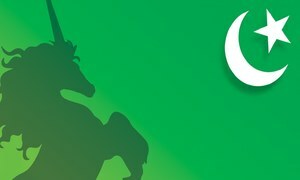 When Usama Qureshi took over as CEO of Hamdard, he felt there was a need for a stronger brand connect with young people and decided on a total revamp of the brand. 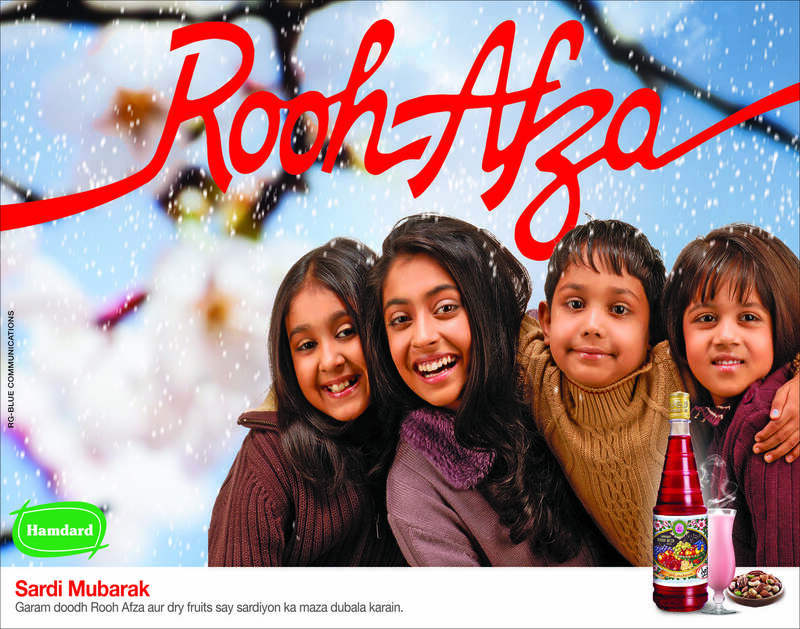 The challenge was to position Rooh Afza as a family brand that can be consumed all year round. This approach has resonated with consumers, one reason being the honest, yet heartfelt, storytelling approach. As a result, the perception of Rooh Afza as only a Ramzan or a summer drink has changed and Rooh Afza is now seen as a family brand and a drink for all seasons and occasions. 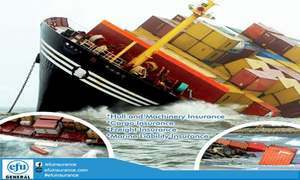 Syed Qasim Raza is a content writer at RG Blue Communications. 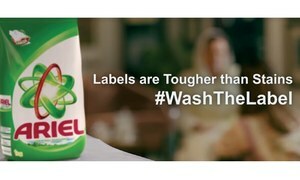 Eight ads that are a must watch!